Watching the monumental mess surrounding Manston Airport has been sad and I haven’t commented on it thus far. I probably should. My position is simple and no doubt deeply unpopular. I think the very idea of a compulsory purchase order by Thanet District Council is/was bonkers given the economic realities, doomed to failure in the courts and liable to end up costing the taxpayer millions. Some politicians, like Sir Roger Gale, have been promoting Manston for years with apparent—if in my mind misguided—genuine passion. Fair play to them. I’ve personally never been convinced that it was going to take off commercially, but at least they have been consistent. Watching politicians of every stripe jump on the Save Manston bandwagon for self-serving purposes however has been a pretty bile-inducing sight. In my eyes, the notion that an American fund specialising in “distressed real estate” and a dysfunctional district council between them could run a profitable airport that no experienced commercial aviation operator has been able to turn a profit on in recent memory is incomprehensible, as is the notion that it should be pried from the hands of someone who bought it on the open market after it had been up for sale for quite some time with no approach by a viable airport operator. I know it’s an emotive topic, as a historic asset and one that for years local politicians and polished airport PRs—unfailingly supported by the local press—have been flagging up as the ultimate savior of Thanet’s economy, but it’s never come good and the numbers have spoken for themselves. My position is that it’s time to engage with the new owners, see how their plans for the site can maximise job creation and see if it can’t incorporate some sustainability aspects too and some green space to go with the manufacturing jobs. Last month I read and blogged about Hull’s new £310 million wind turbine factory, which is creating 1,000 direct jobs up in the north east. If facilities and investment of that kind of scale across any sector can be brought to the site—and I think British manufacturing can and will enjoy a resurgence—that would be a great win for the area and personally I’d like to try and help make that happen. I look at the tens of thousands of Facebook likes for the Save Manston pages, have friends who have lost their jobs there and know the passion that it engenders; as a result, frankly voicing an opinion that few will share and that will likely attract a lot of opprobrium is not easy, but needs to be done. The political grandstanding has to stop. Investors trying to create jobs and look forwards in a changing economy should be supported I think and I’m going to do that. I’ll start by continuing writing—as I started to this year—to manufacturing and R&D companies nationally and internationally, starting in the energy sector, trying to get them to relocate to Thanet. It’s time to look forward and engage with the new owners. Best of luck to them and I hope they create the jobs Thanet so desperately needs. So True, lets get on with the future ! Congratulations Ed on expressing your views on Manston which are shared (privately) by hundreds of residents from Ramsgate to Herne Bay. 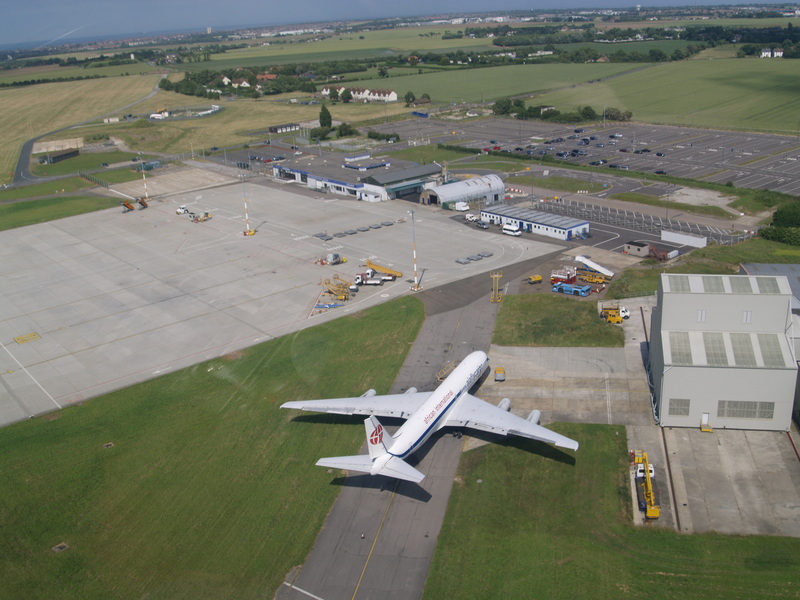 The reason for the apparent overwhelming support for Manston is due to the strident “Save Manston” activists who intentionally inhibit contrary views by intimidation. Well done for presenting the sane view as my definition of insanity is doing the same thing over and over and hoping for a different outcome! Take note Sir Roger!